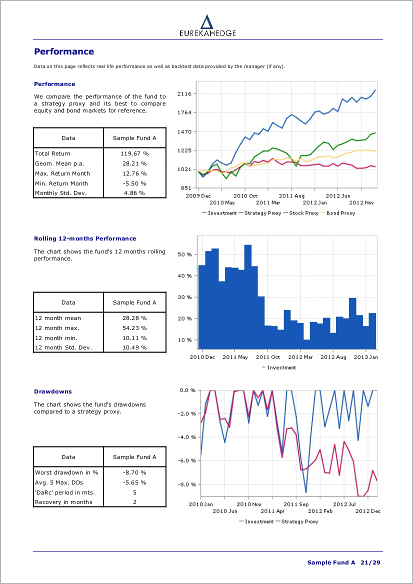 Eurekahedge's flagship product is a fully comprehensive and global database of hedge funds, long only absolute return funds, commodity trading advisors, managed futures funds and other skill based offshore funds. 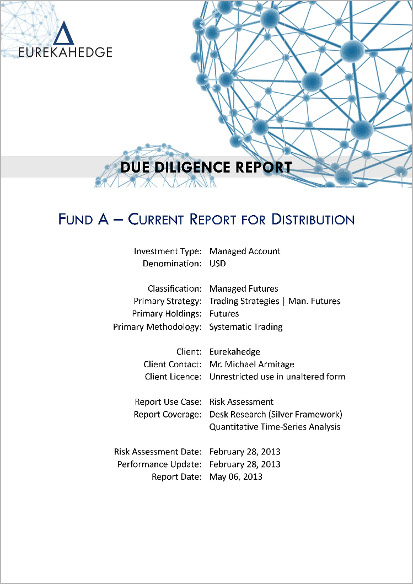 With a raft of interactive features this is the ideal product for hedge fund investors.  Eurekahedge's operational due diligence service offers a comprehensive report on hedge funds, private equity funds or funds of funds. We have agreements in place with an extensive network of consultants and analysts globally who are industry specialists, with decades of experience in covering alternative funds. 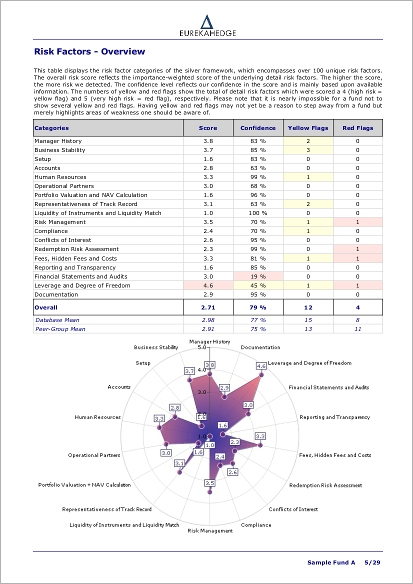 All of our analysts adhere to a strict report protocol to ensure that reports on different funds by different analysts are effortlessly comparable. 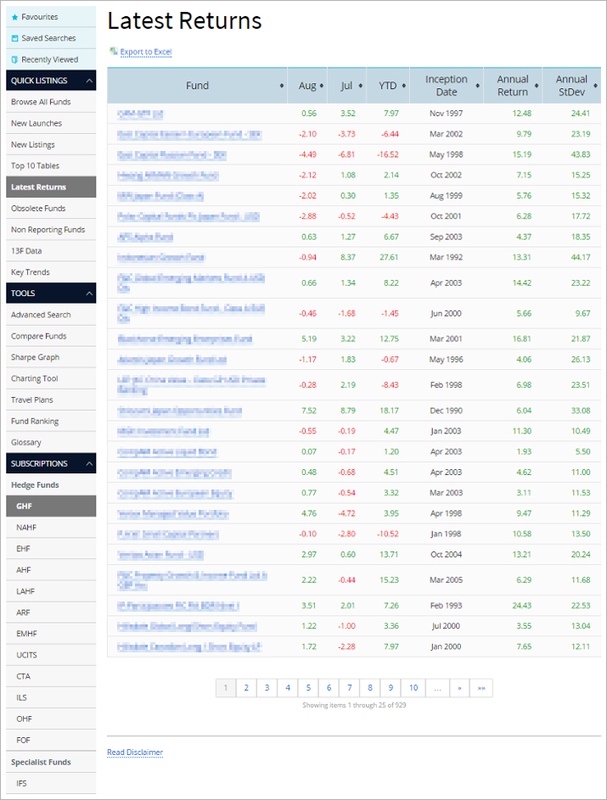 Risk Shell is a fully comprehensive hedge fund analytical tool aimed at hedge fund investors who want to build and monitor portfolios, perform stress tests and what-if scenario analysis, run portfolio optimisation and holdings analysis. In addition the tool can produce reports and graphs covering peer groups, correlations, VaR, factor analysis, correlation stress tests and many more. 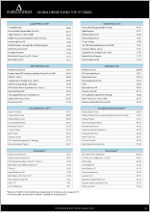 The Eurekahedge Global Fund of Hedge Funds directory is a database of multi-manager funds that allocate to hedge funds, commodity trading advisors (CTAs), and long-only absolute returns funds. 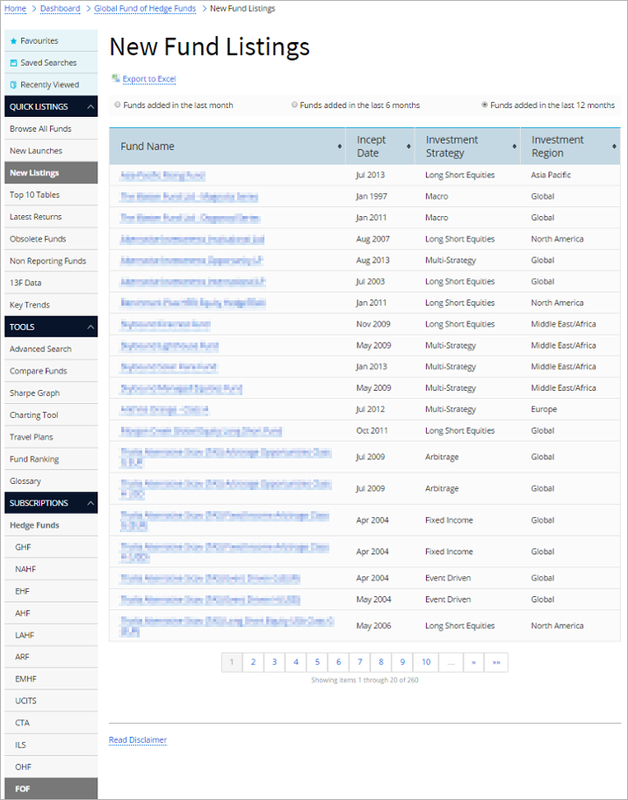 The most comprehensive of its type, this hedge fund investor database contains 2,500 funds that are managed by 1,000 management companies from around the globe. Over the years Eurekahedge has been a pioneer in launching bespoke and innovative fund directory such as enhanced equity (130/30), private equity, real estate and socially responsible investments funds. By far our most popular is our Global Islamic Fund database that contains all fund types that are Shariah compliant such as mutual funds, unit trusts, structured products, open ended investment companies and alternative investments. 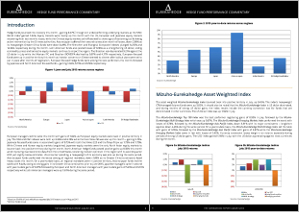 Every month, Eurekahedge releases The Eurekahedge Report containing performance analysis, asset flows, key macroeconomic trends in hedge funds, industry insights, top 10 tables and index return matrices by region and strategy. 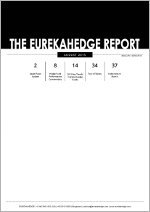 It is the gold standard for a top-down macroeconomic view of the hedge fund industry globally. In addition to our regular reports, Eurekahedge offers customised reports, data analysis and surveys to our customers on a case by case basis. Please enquire for more information. 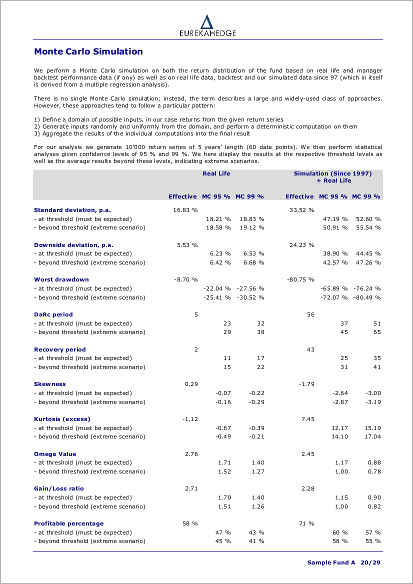 For over 10 years Eurekahedge has built a number of bespoke indices which companies have used as firm benchmarks to launch investible products off the back of: including the MAXAM Eurekahedge investible indices, the Mizuho-Eurekahedge indices; which are the basis for MAI's replication product, and ILS Advisers Funds of ILS Funds business. If you are looking for a new benchmark for your products then do not hesitate to get in touch with us to discuss further. Eurekahedge also offers bespoke research projects which include data requests and industry analysis, performance and asset flow reports, region/strategy breakdowns and portfolio simulation.